The Voluntary Organisations Disability Group (VODG) has urged the Government to shore up the fragile social care system in the Autumn Budget. In a new report, the VODG, which represents over 90 leading not for profit organisations supporting disabled people, outlines the growing threat to the UK’s care and support services. VODG chief executive Dr Rhidian Hughes said: “Social care is a vital public service but is a victim of a triple whammy of squeezed funding, increasing demand and increasing costs. This impacts on disabled people and adversely affects other public sector services such as the NHS. 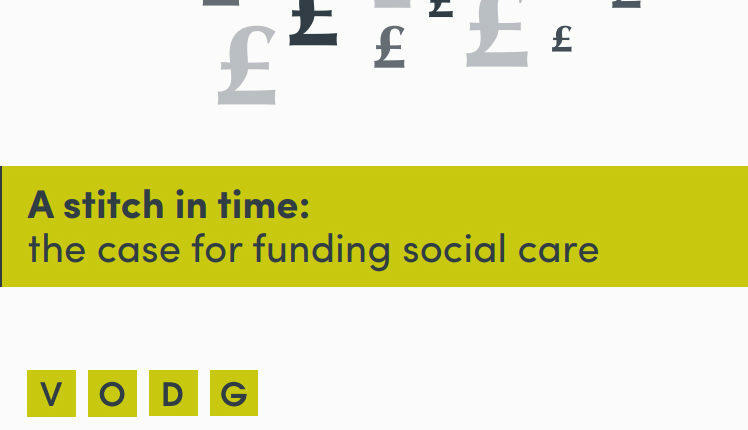 The report highlights that local authorities are planning to slash £700m from their adult social care budgets in 2018/19 with cumulative savings since 2010 of £7bn. VODG said threats to the sector were being exacerbated by the likely economic impact of Brexit, which could see public funding budgets cut further and more labour market instability. The report makes a number of recommendations, including: identifying a long term and sustainable funding model covering disabled adults and the elderly; ensuring financially troubled local authorities carry out their responsibilities with regards to the Care Act; the suspension of retrospective action to recoup underpayment of the National Living Wage for sleep-in workers; and building more accessible and adaptable homes.